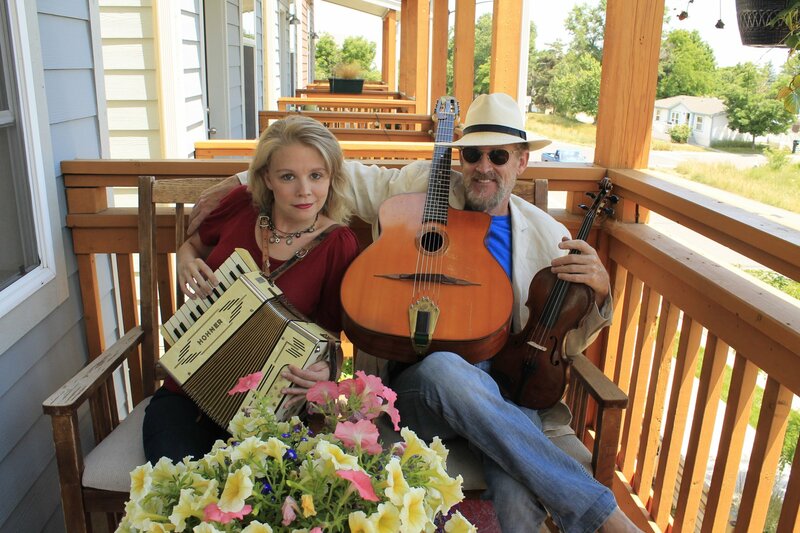 David Williams is a singer-songwriter and instrumentalist, who plays a variety of stringed instruments (guitar, violin, banjo, uke) with influences from gypsy jazz to delta blues to bluegrass and folk music. As a singer-songwriter, he is known for his way with words and melodies, which conjure up the American landscape and touch on everything from love to the stories of people’s lives. David is an Emmy winning songwriter, and videos of his songs have had over 80 million hits on YouTube. David also spent decades studying the passionate guitar work of the famed gypsy swing guitarist, Django Reinhardt, and he also studied and performed with the great jazz mandolinist, Jethro Burns, of Homer & Jethro fame, and David and Greg Brown played together often in the 80s. David has performed at festivals such as Vancouver and Winnipeg, holds a Ph.D. in English/Writing and has been a writer in residence at a number of colleges and universities in the US; he is a screenwriter, author, cartoonist, and children’s author. Ellie Brown is an incredible songwriter and singer who is nothing if not “Delovely.” The daughter of a music teacher, she has spent a lifetime playing piano, violin, ukulele, and now she has picked up accordion. Her clear and penetrating vocals resonate with audiences, and her interpretations of jazz standards are remarkable, reminiscent of Billie Holiday and Norah Jones. But it’s Ellie’s wondrous songs that really connect with people—lovely and light but with a penetrative depth below the surface. Ellie reminds one of Audrey Hepburn, in her grace and demeanor, and most of her adult life she has spent traveling the world working for the poor and unfortunate.